Chickens, pigs, and ducks are taking over the world. The Android game I have engrossed myself in for the last couple of days, has been developed by Big Duck Games. And no, it’s not about ducks. It’s about simple and colored pipes. You heard me right. But pipes can be pretty interesting too as we are about to find out. If someone asks you about your love for puzzles, and you answer in the negative, then this game isn’t for you. 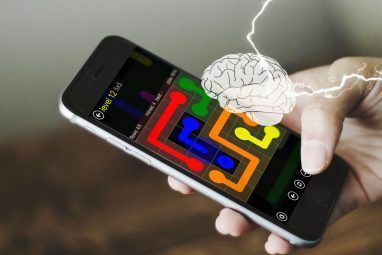 But if it’s enough of a hook, then read on, as we press play and throw our brains a challenge with the compelling Flow Free puzzle game. I picked the game from our Best Android Games page. Flow Free is an addictive puzzle game which appears simple enough to entice you in. But as with all good (and apparently) simple mobile games, appearances deceive. 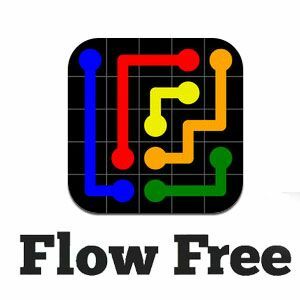 Flow Free’s gameplay asks you to connect matching colors with pipes and thus create a flow. Your objective is to connect all the matching colors and cover the entire board with pipes. But… (You didn’t think for a second that it would be so simple did you?) – Pipes will break if the crisscross or overlap in any way. Mind that as you begin connecting the pipes on the board. Flow Free is available for Android (2.2+) and iOS (3.1+). You can go to Google Play Store, or if you have an iPhone, iPad, or iPod Touch, head for iTunes App Store. I will be reviewing the Android game app here. Flow Free is really free but ad-supported. The install size is around 4.5 MB for the Android version. The gameplay is really simple. You have to drag between two matching colors placed apart on the board and connect them with a pipe. This creates the ‘flow’. 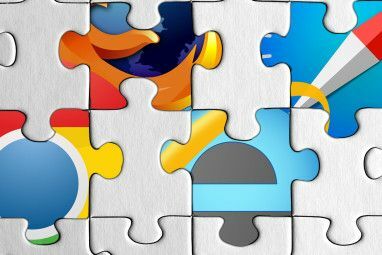 Pairing all the colors with connected pipes successfully completes the game for you. But it’s not that easy a walk on the board because the pipes are bound to overlap. This is where the puzzle kicks into your brain cells. You have to ask yourself – what’s the effective path between two colors that won’t overlap. Think ahead. Plan ahead. The trick is to do it in the least possible number of moves. A little scoreboard on top tells you the number of possible flows, moves attempted by you, and your best for the board. Logically, your best score should always equal the number of flows. Plays get progressively difficult as you climb up the levels. As you can see from the screen below, I managed to progress up the levels in double-quick time because the initial plays are like warm-ups for the brain. Levels progressively increase. The epitome of achievement would be on a 14×14 board. A screenshot below would help illustrate the complexity. As you can see for all my initial tom-tomming, I haven’t managed to conquer this Everest yet. If you become the champion on the free play boards, then you can hit the clock and do the time trials. Here you have to race against the clock and countdowns go from 30 seconds to 4 minutes. Solve as many as you can. The Free Flow puzzle game gives you purchase options to buy more packs in variety of configurations. 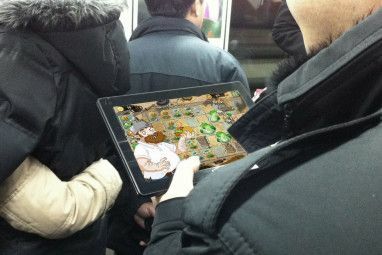 But it could be some time before you go there because of the sheer number of plays in the free version (750 free levels in 10 different board sizes). Of course, if you get addicted, then you will literally race through them. Connecting the pipes helped to connect my brain cells too. The challenge as in all puzzle games didn’t come about when I solved them; on the contrary, it came when I got stuck. The game is addictive, and partly so because of its simplicity. The only grouse I have is that the 14×14 grid game levels are a bit difficult to play on especially on smaller screens and with larger paws. Should I drop a hint here? Nah! I will leave you to figure out the method in the challenge. And if you do, do drag yourself away and give the game a thumbs-up here. I've been playing this for a week and a bit now, very addicting. We play it in groups to help (and pick on) the others. My only grip is that it constantly lose the flow if I accidentally tapped the screen so I should draw all the way from the start. Not very bad in lower levels, but definitely not fun in bigger board. I thought it would be better on a bigger board. Smaller screens and pudgy fingers make it a bit more difficult. i like this kind of games, downloading it at the moment, thanks.